Local government unit in Manila declared suspension of classes in all levels because of the yearly procession tradition of the Black Nazarene. LGU officials expected the heavy traffic that would effect to all commuters specially students. This year, the back to school date is set to January 6, Monday, but all schools / universities in Manila by Thursday, January 9, are close due to the celebration of the Black Nazarene. 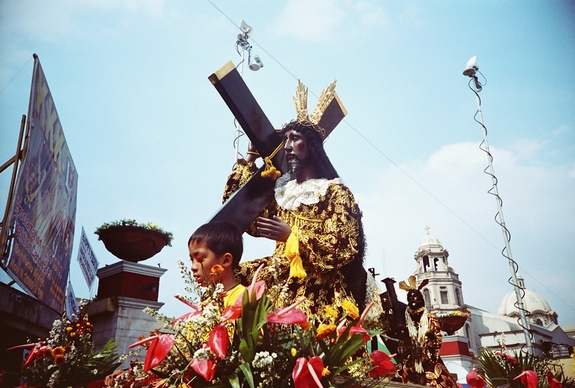 There are thousands of devotees will flock together to observe the celebration of the Feast of the Black Nazarene. For the meantime, if you feel that the above information for Feast of the Black Nazarene are informative, please bookmark this page and share it to your friends on Facebook, Twitter and Google+. Thank you. Comments or suggestions about "No Classes on Thursday January 9, 2014 in Manila | #walangpasok " is important to us, you may share it by using the comment box below.